My weekend mornings have developed a certain routine of late. I begin to enjoy it now when I don’t have to start the day with the rush factor. Like most people, I like to spend my weekend mornings reading the newspaper. On Saturday, I wake up around 9am, drink my coffee, browse the paper and send our boy for his English Phonics class at 10am. 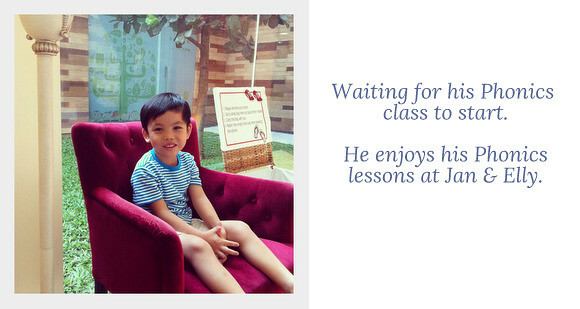 If V is not working, we will go for our brunch together when Little Edison is attending his Phonics class. It’s also something that I truly enjoy – a quiet meal with the Husband and without the Kid. We’ll have a quick supermarket shopping after that, before we pick up our boy. On Sunday morning, I wake up around 8:30am as our part-time cleaner is coming in at 9am. She will perform general house-cleaning and ironing for us. At this point, I must say that I’m really happy to have a part-time cleaner to take care of my household chores. She is truly a godsend! I brew some coffee, check my e-mails, read the paper, update my blog and make breakfast. If it’s not too hot, I’ll bring our boy out for cycling, morning walk for myself and to breathe some fresh air. The cleaner will leave at 1pm, so we start to shower and prepare ourselves for our weekend outing before that. That’s what my weekend mornings are buzzed with. It doesn’t require a lot to make my weekend morning a happy one. No alarm clock, no rush factor, a nice cup of coffee, a newspaper, and a hearty breakfast go a long way.